When I hear the name “Dali,” I naturally think of the great Spanish surrealist artist Salvador Dali. But I recently discovered another great artist named Dali: Dalibor (Dali) Blazic, founder and owner of Dali Crêpes. His European-style crêpes are delicious edible works of art. Originally from Serbia, Dalibor Blazic emigrated to Utah in 2011. However, he missed the crêpes that his mother made twice per week saying, “I want to eat crêpes every day!” So he decided to make his own crêpes, eventually leading to his Dali Crêpes catering business. With an education in hotel and restaurant management and a culinary focus, he was well-suited to creating his own food business. With Dali Crêpes, customers get a show alongside excellent food as Dali – who is a bit of a showman in the European crêpe-making tradition – makes his crêpes right on the spot. 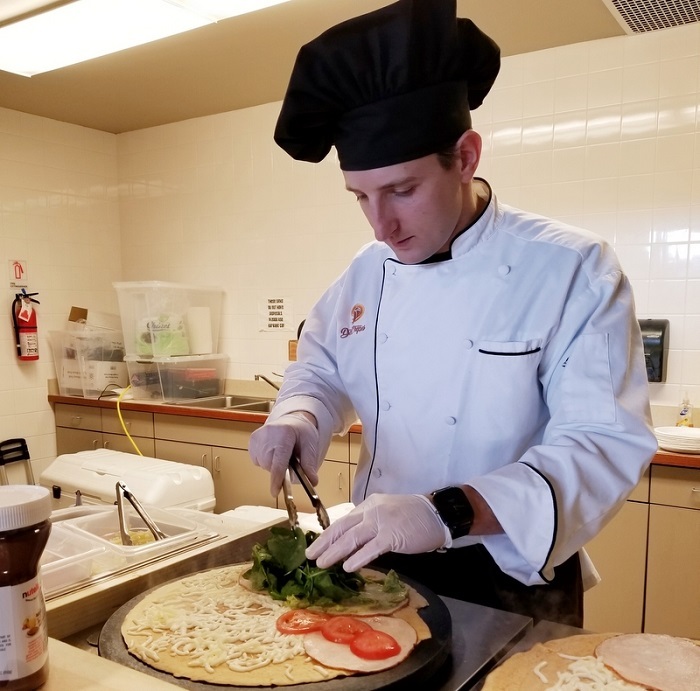 He showcases his crêpe-making talents at weddings, bridal showers, private and corporate parties, farmers markets, and at the upcoming Made in Utah Winter Fest being held at The Gateway on Friday, December 15th and 16th. The crêpes are served straight from the cast-iron platter on which they’re made. 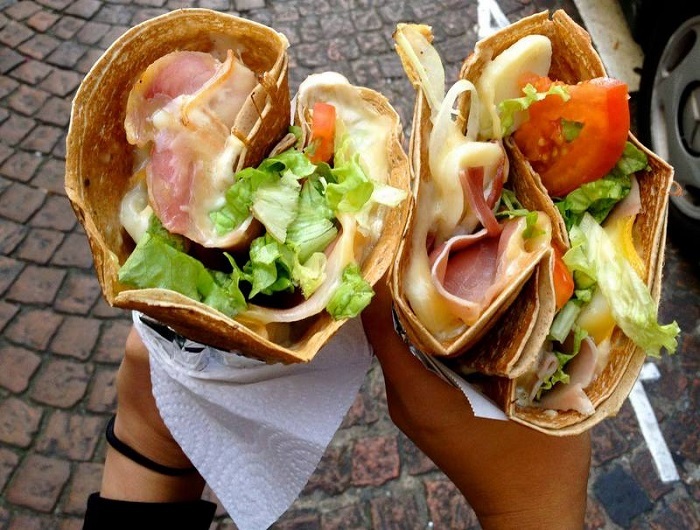 The crêpes come in a wide variety of savory and sweet flavors, including Nutella, raspberry, banana, mango, turkey-avocado, Black Forest ham, veggie, Caprese and plum with walnuts, to name a few. Best of all, Blazic strives when possible to support other local Utah food producers and artisans using locally-made ingredients when he can. When asked about folks who have supported Blazic in making Dali Crêpes a success, he names Dalibor Menićanin of Leigha Marina apparel company, Alfonso Porras, founder of Sir Walter Candy Company, and Johanna Clerigo as those who helped him through the pain of starting a new business. What does the future hold for Dali Crêpes? Well, Blazic says he hopes in a few years to acquire a physical store location where the public can come to him. One thing is certain: I’ll be first in line for crêpes when that happens!